"The Music in the Noise"
Finding this scripture in my email this morning prompted me to do something that i had put on the back burner for quite a while. 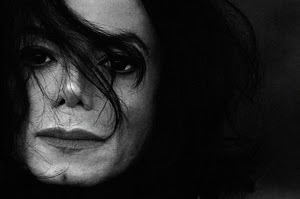 i had been pondering the situations that arise when something "new" is published relating to Michael. Even before the publication and whirlwind generated by Sullivans' book there had been plenty of occurrences that stirred the waters looking to cause a publicity storm. This latest however contained elements of acknowledgment by a trusted member of the MJ community, Tom Messereau. It just so happened that when all hell broke loose i was reading "Moonwalk" by Michael Jackson. So during the day i would read various email and comments surrounding the book and occasionally comment though i felt some trepidation in doing so, while at night i would wrap myself in the voice of the Beloved. The more i read from him the less i desired to read about Sullivan. The more i heeded the wisdom in his words the less time i had to spend in speculation as he sent me on searches leading to the paths of beauty and love. Time is so precious and nothing illustrates this more more than his life and his seemingly sudden transition and as i withdrew from all things that chaffed my edges creating vibrations antithetical to peace my one prayer became to stay in a place where the noise could not invade the silence of this process of becoming love. i live across from the tracks of our inner-city train system. A recent visitor being startled by the noise asked "doesn't the train bother you?" i answered that i no longer heard it and that is how i am being guided...taught...coaxed...and loved into feeling about the voices of these situations so riddled with falsehood that picking through the b.s. is pointless when the voice ... moves... vibrations... and words of the Beloved remain and i long to spend this fleeting time there. i am a novice in this journey with still so much to learn of attaining a continual state of love. Is there any wonder that i find myself laughing aloud at even considering it a choice between the voice of Michael or that of someone else of questionable intention? It has been more than three years that my skill set has been required to expand to truly encompass the fullness of the gifts of the Divine. How to negotiate shifting perceptions and the fading away of former "realities." How to believe the words that flowed from my own hand yet whose fullness i had yet to live continuously during those times when distractions mimicked things of weight and importance. 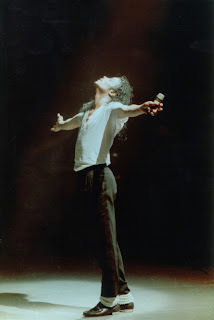 It seemed that like his life on this plane life with Michael held fertile soils for controversy and confusion and early on it seemed an intention had been planted inside of me to shy away from the clanging dissonance created by the media in ever expanding forms. Like in his life on this physical plane these forays shook the fan body in various ways...and it was during these times that i held fast to the words of his mouth and the words that cascaded through me by way of his love and instruction and God's blessing. Even more, i found that when i gave time to the words of these panderers of sensation i opened a breach that flooded my consciousness and created a gateway for ego to exercise its love for drama and debate and that eroded the precious times of clarity attained through submission and surrender and motivated by my hunger for oneness. Now today i find this scripture and all of these lessons come rushing to the forefront of my psyche. It is not infrequent that i find parallels in circumstances surrounding Michaels's life in many scriptures from many prophets. Scriptures and the lives of the prophets are more than just the tales of individual men but reminders of the elements in society whose methods are shameful and whose acts in reality seek to defy God Himself. those who "worship at the alter of self." For me Sullivan is simply a "man of Lawlessness" like so many others whose contribution to the human dialogue consists half turths and confusion and i don't have time to spend with them being consumed by thoughts of eternity. i sit smiling not knowing whether this is a journal or a cautionary tale but how can i keep silent when the one with whom God blesses my life urges me away from the noise and sends me things to share and not put away like a relic...gives me such joy that now i can only write of love and be invited and invite others to the peace in him and in Praise for this blessing. Ah the wicked irony of this life with you my dear. "The Michael Jackson Death Trial," coming to a close and yet I "Know" that, by Grace, you linger and make my life a place ripe with miracles. And I find comfort and security as you gently scold me for giving even the slightest weight to fears from the past. And worthy you are to be my guide Beloved for am i not informed at each turn by your manner and wisdom? For even in the midst of the media noise that tries and tests me your soft, sweet voice of love is heard, and you are the music the drowns out the noise. And he is...and he does...and i can only say the that the path is straighter in his light and he guides me into the arms of God and away from the noise of the Men of Lawlessness whether it be a Murray or a Sullivan. i love you more.